Do you find yourself waking often in the middle of the night gasping for breath? Are you chronically tired during the day and often fight to stay awake? Or has your partner told you that you snore loudly every night and often stop breathing in your sleep? At The Alaska Sleep Clinic we receive questions like these all the time. And like our patients, if you've answered yes to any of these questions, you could possibly be suffering from a medical condition known as Obstructive Sleep Apnea(OSA). 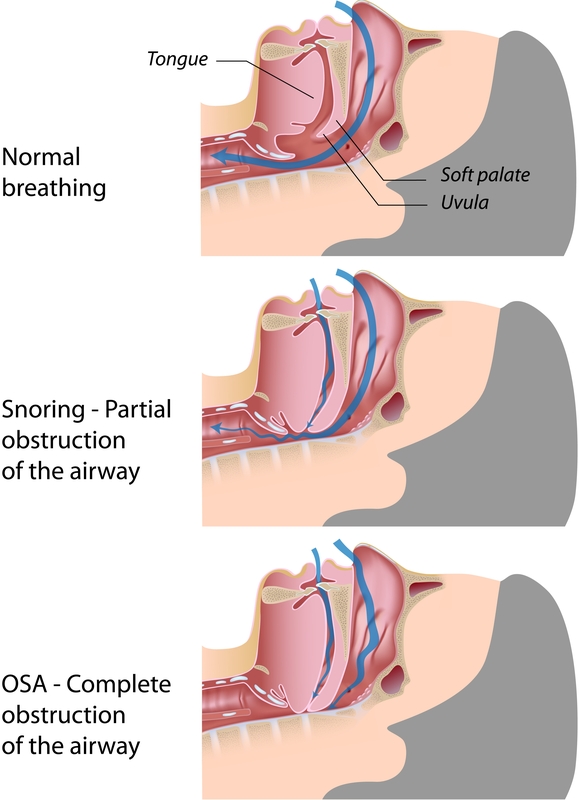 Obstructive sleep apnea is the most common form of sleep apnea. Apnea literally translates as "cessation of breathing" which means that during sleep your breathing stops periodically during the night for a few seconds. These lapses in breathing can occur for up to ten seconds or more and can happen up to hundreds of times a night in severe cases. OSA is caused by blockage of the upper respiratory airways in which either the throat muscles collapse, the tongue falls back into the airway, or enlarged tonsils and/or adenoids impede air flow. When your airway becomes cutoff, the brain has to wake itself to signal the respiratory system to kick back into gear. This often leads to breathing resuming with loud gasps, snorts, or body jerks that may wake you from your slumber and disrupt your sleep. When you're waked multiple times through the night, your body and mind don't get the rest they need to function, leaving you tired and drained during the daytime. Mild OSA- The sufferer experiences 5-14 episodes of interruptions in breathing in an hour. Moderate OSA- The sufferer experiences 15-30 episodes of interruptions in breathing in an hour. Severe OSA- The sufferer experiences 30 or more interruptions in breathing in an hour. It is estimated that over 20 million adults in the U.S. alone suffer from Obstructive Sleep Apnea and roughly 80% of those afflicted go untreated. Adult men over the age of 40 and people who are overweight or suffer from obesity are at greater risk for acquiring obstructive sleep apnea. interrupted sleep by a concerned bed partner telling them of their nightly breathing cessations. Others may be aware that they sleep poorly or frequently wake in the night, but may not understand the cause or the potential consequences of untreated sleep apnea. Weight- In many cases a person's body weight is directly linked to having obstructive sleep apnea. People who are overweight or obese are more likely to have sleep apnea than those that maintain a healthy weight. Sleep apnea can often be caused by excess fatty tissues that become built up in the neck and throat. This can lead to restrictions in airflow as the upper respiratory system's pathway is narrowed or pinched off during sleep. Age- As people age their muscles begin to lose muscle tone. This is also true of the muscles in the throat. As throat muscles lose definition, they become weaker and more likely to collapse into the airways during sleep. Enlarged tonsils or adenoids are the leading cause of obstructive sleep apnea in children but can also affect adults who never had a tonsillectomy when they were younger. Natural causes- Some people can be genetically predisposed to having a narrower throat or may have an enlarged tongue that falls back into their airway. If your family has a history of OSA you are more likely to have it yourself. Frequent alcohol use- Alcohol relaxes the muscles in the body, and this includes the throat muscles as well which may relax to the point of blocking the airway during sleep. Smoking- Smoke is an irritant to the lungs, throat, and esophagus. It can cause inflammation and fluid retention in the upper airways that can impede airflow. Snoring that is loud, disruptive, and regular is one of the most obvious signs of potential OSA. For more information on snoring, click here. Frequent breaks in breathing caused by an obstruction. These cessations are often followed by choking or gasping noises as the body's respiratory system fights through the blockage. 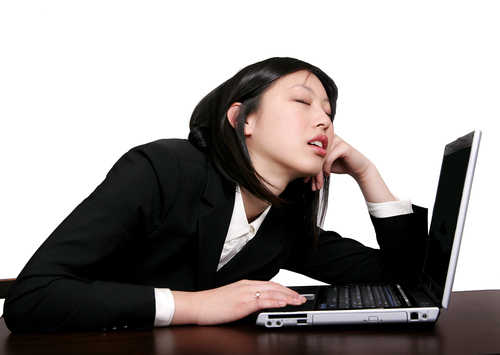 Excessive daytime sleepiness caused by frequent interruptions of sleep. Morning Headaches stem from the loss of oxygen in your bloodstream that flows to your brain as a result of the irregular breathing at night. Restless sleep. Sufferers of obstructive sleep apnea often have fitful sleep as their mind and body are constantly awakened throughout the night, pulling them out of the much needed stages of non-REM and REM sleep. Depression or irritability. 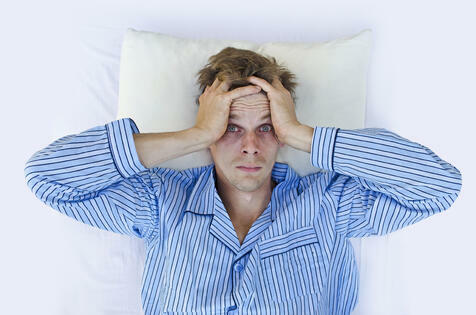 Lack of regular quality sleep can wreak havoc on a person's mental well-being. Sufferers of obstructive sleep apnea often find themselves feeling short-tempered, and in time it can lead to more severe symptoms of depression. If you think your troubled sleep may be a symptom of obstructive sleep apnea contact your primary physician or your local sleep clinic for a sleep consultation. For more information on diagnosing, treating, and the possible consequences of untreated obstructive sleep apnea click here.